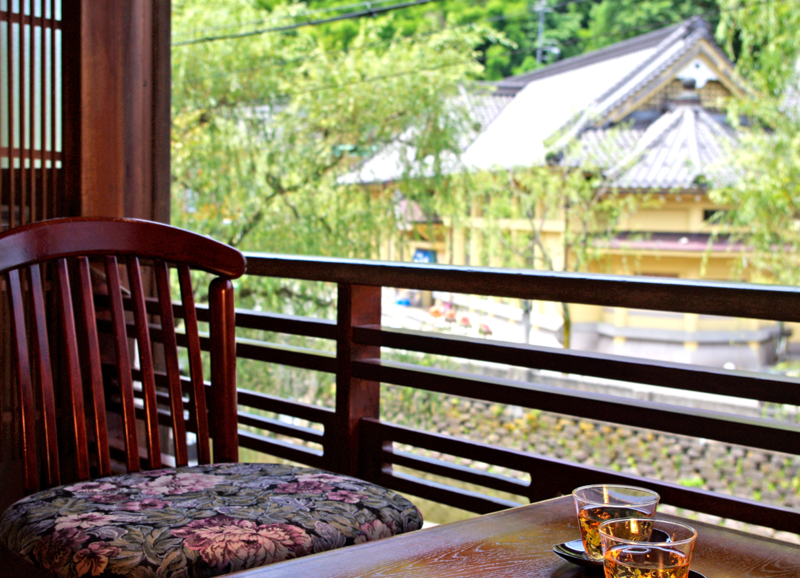 From the room guests can gaze upon the town scape and willow lined street. 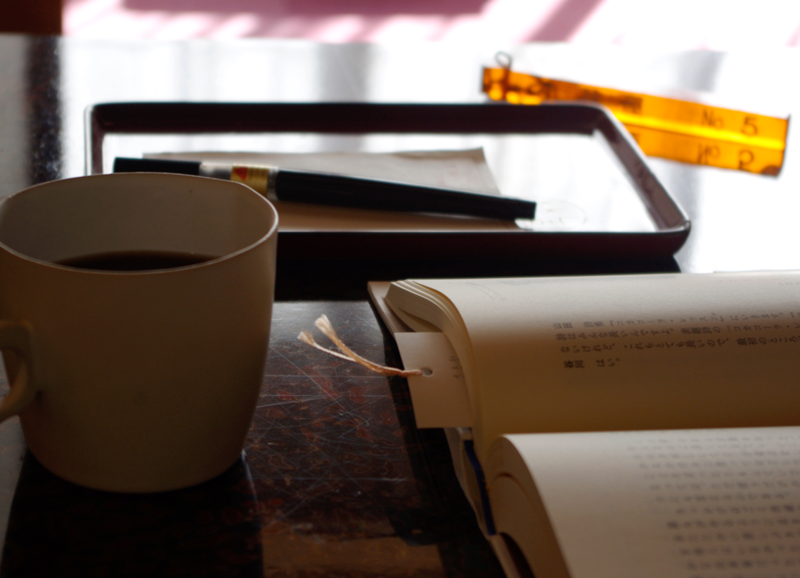 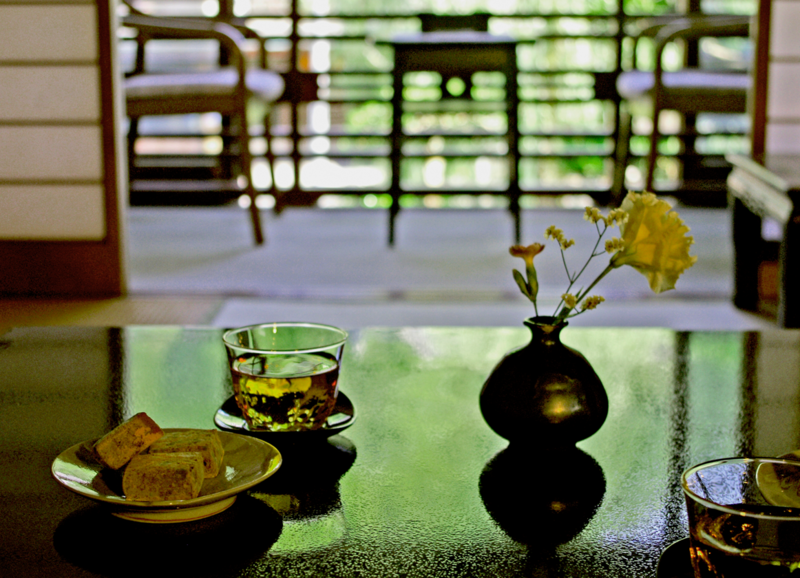 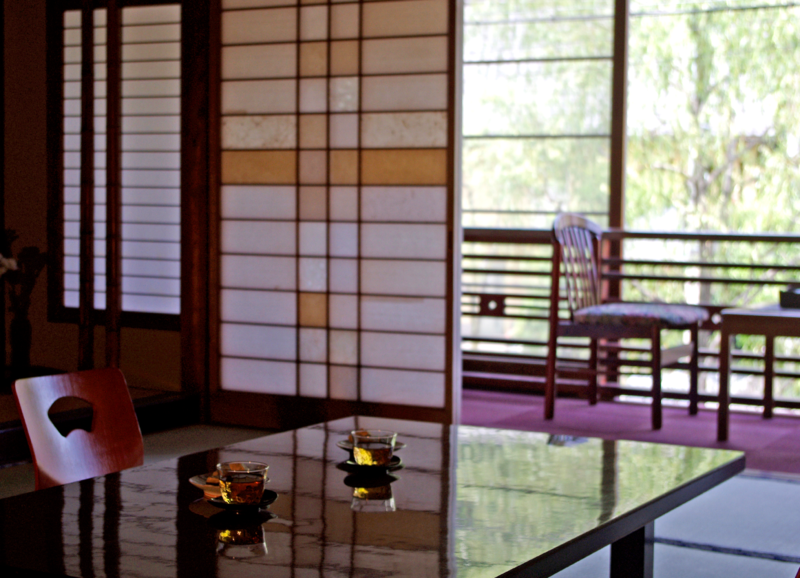 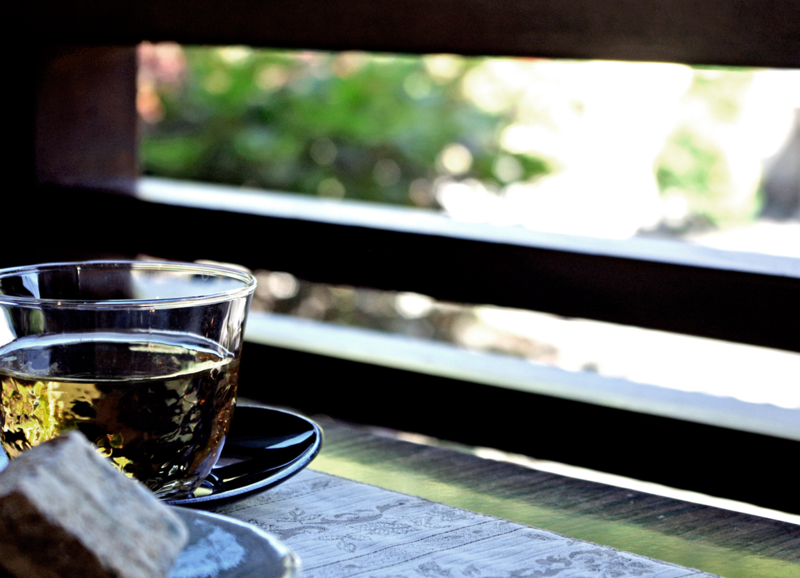 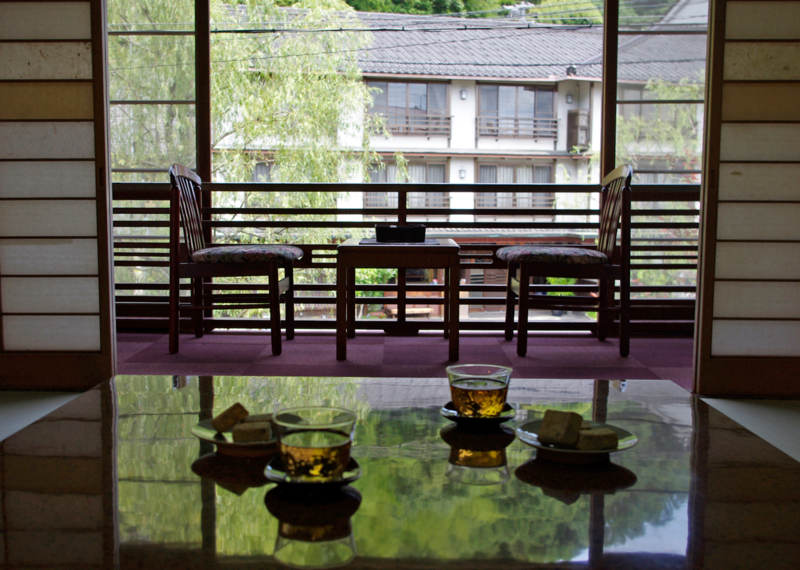 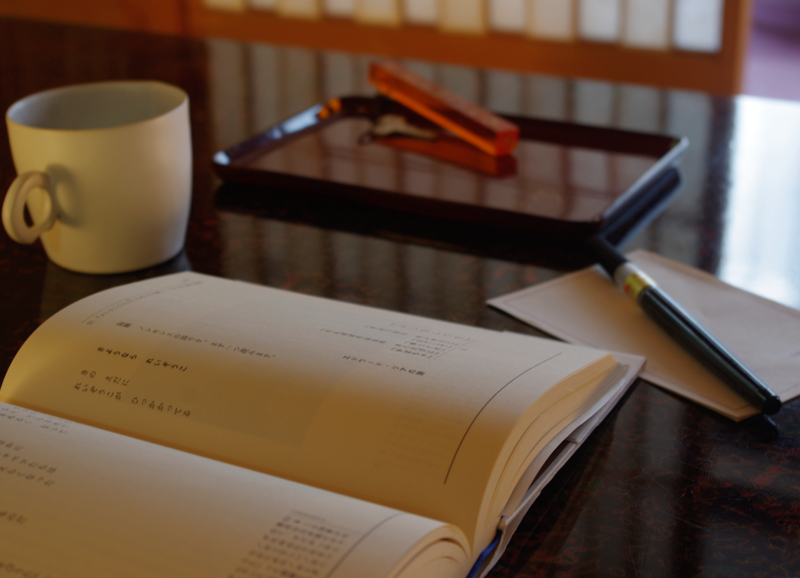 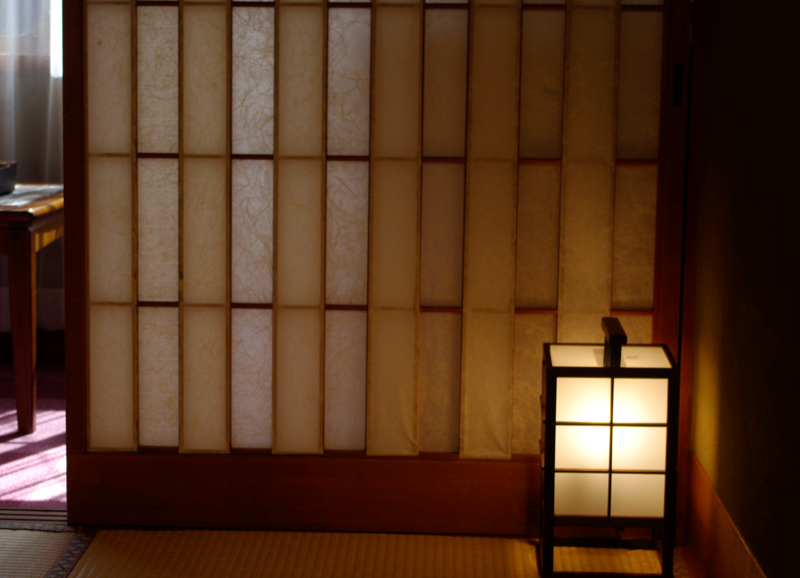 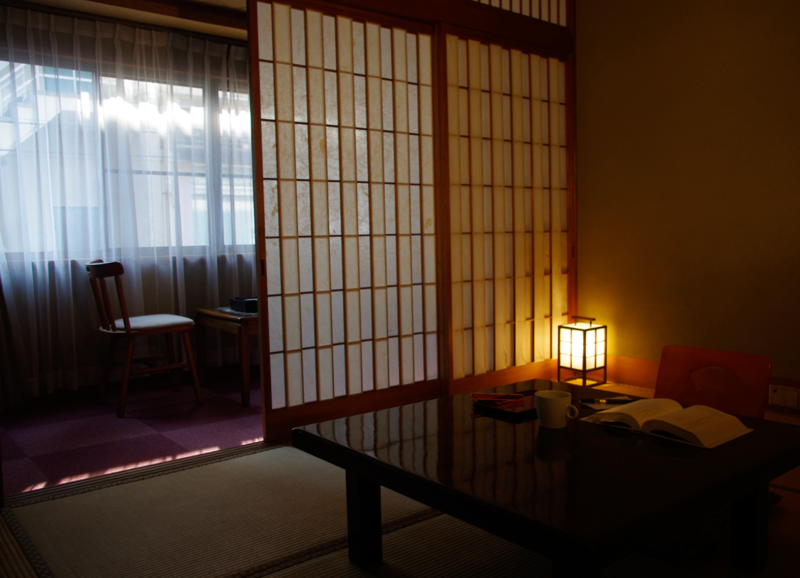 Guests can indulge in the traditional feel of Kinosaki. 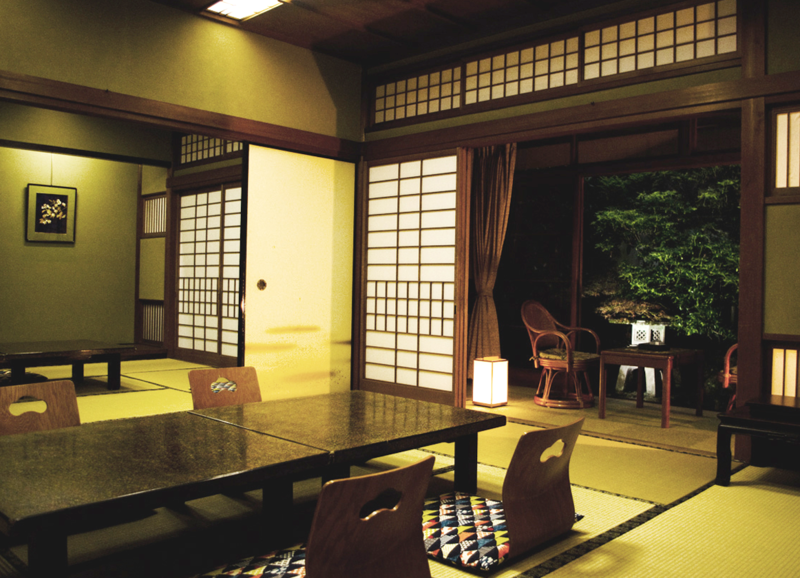 This room does not come with a restroom. 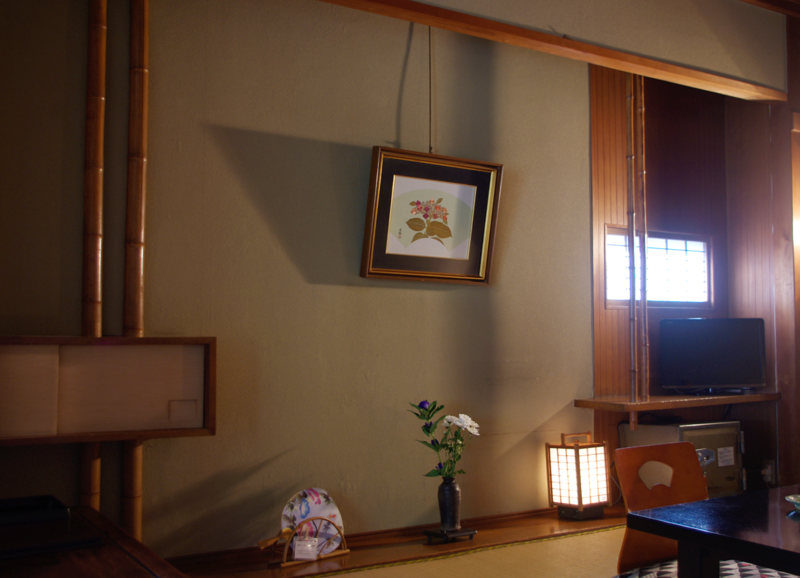 ●Amenity: Air conditioning, Refrigerator, Flat-screen TV, Safety box, Bath & Face towels, Hand soap, Tooth brush, Yukata robes and belt, Free WiFi is available in all rooms. 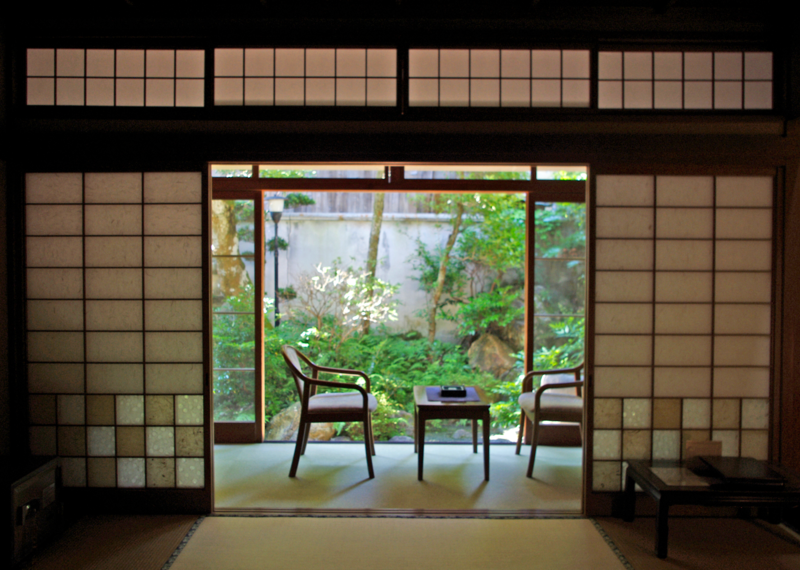 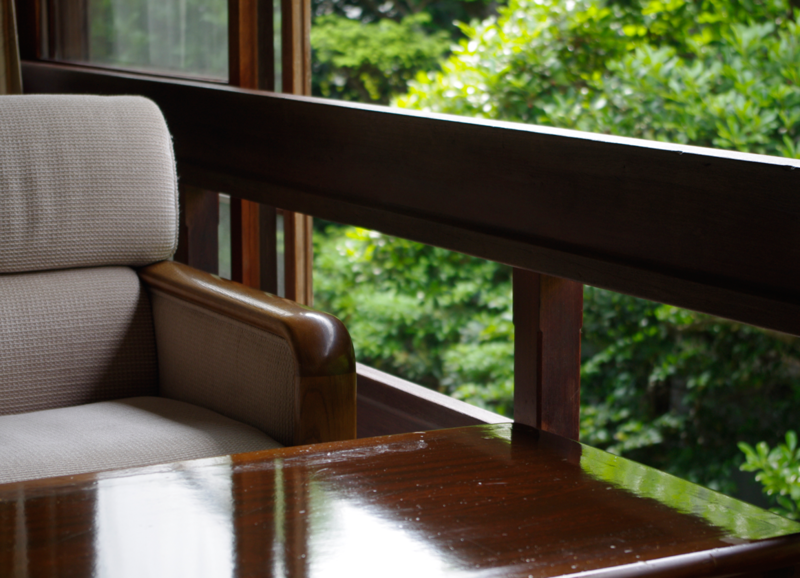 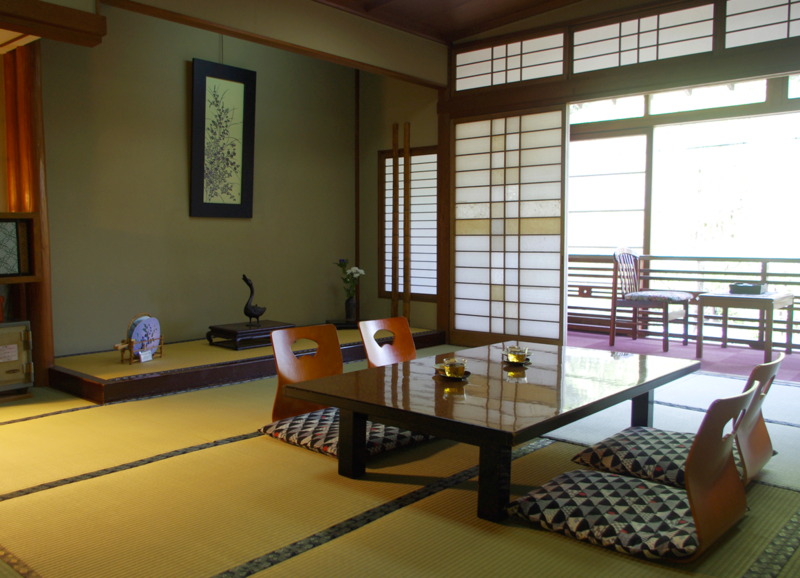 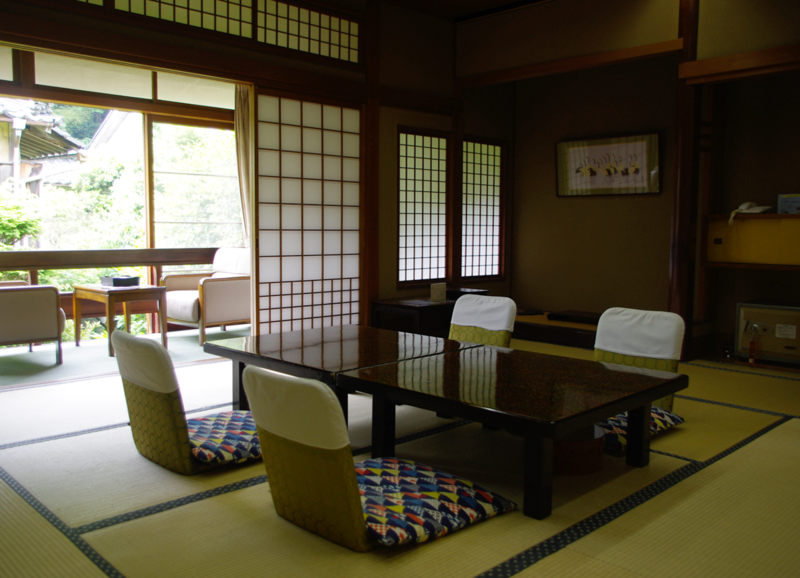 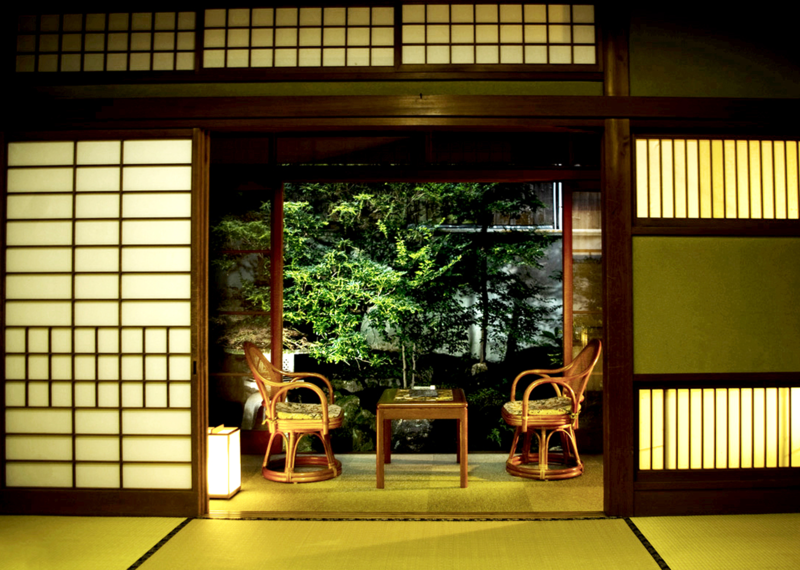 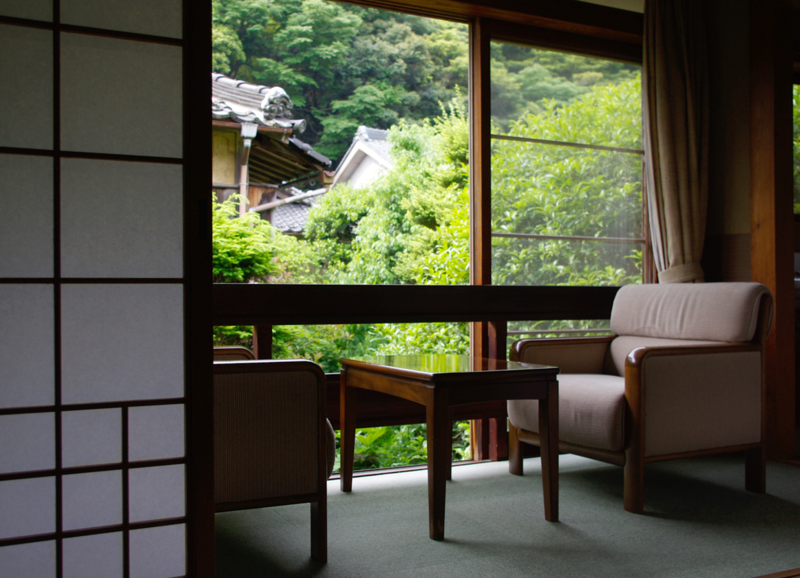 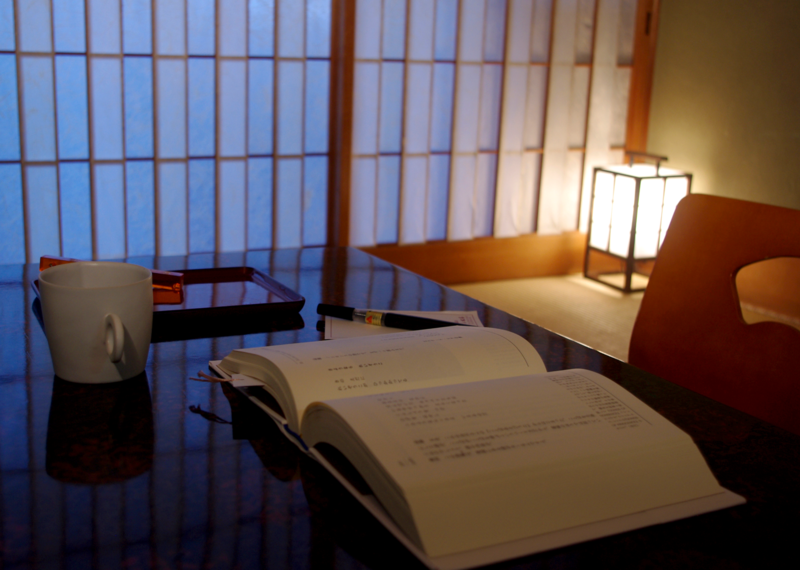 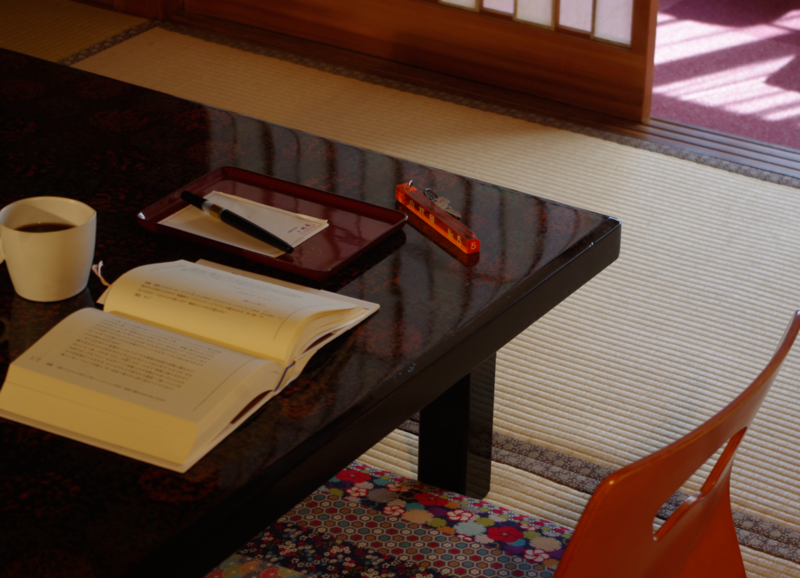 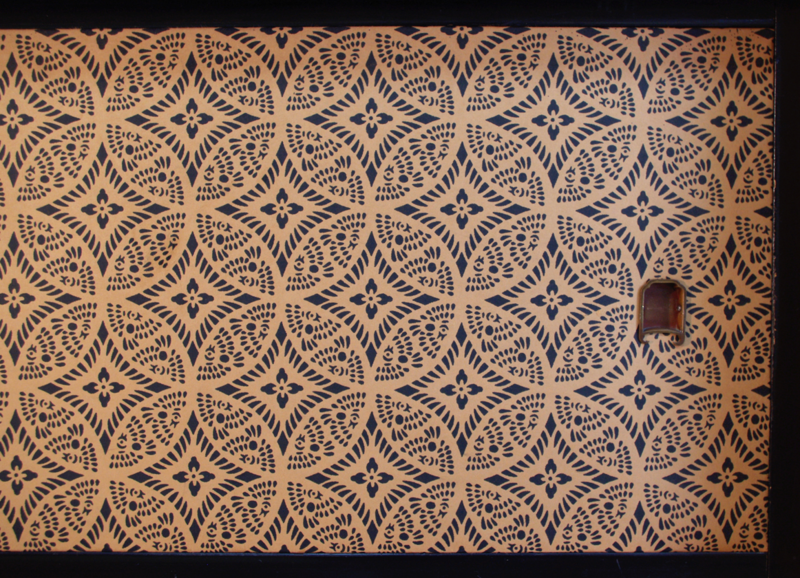 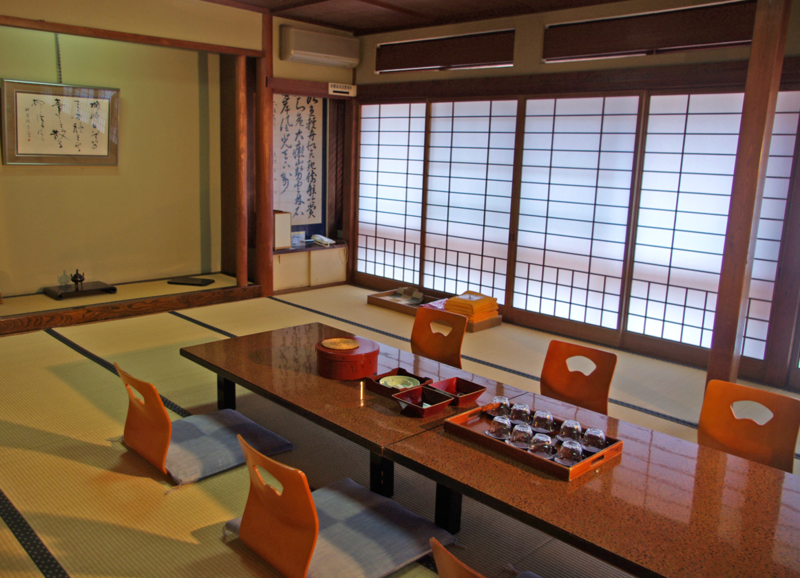 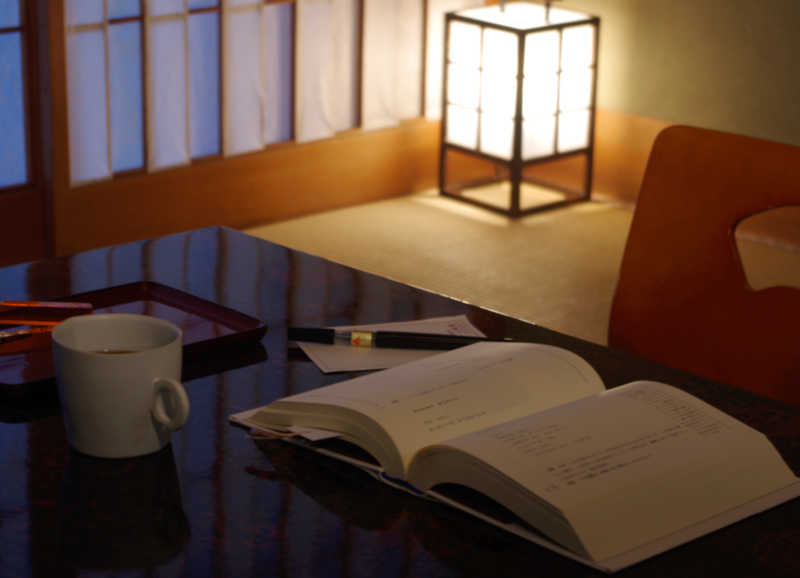 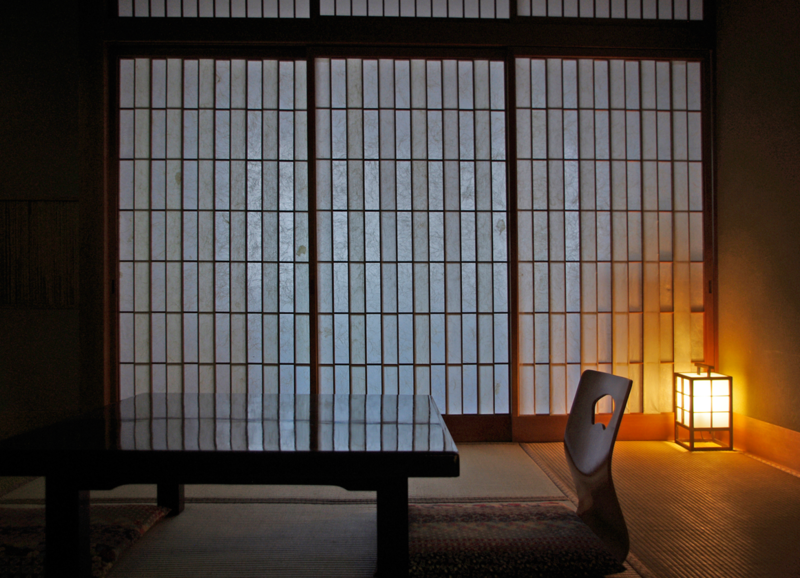 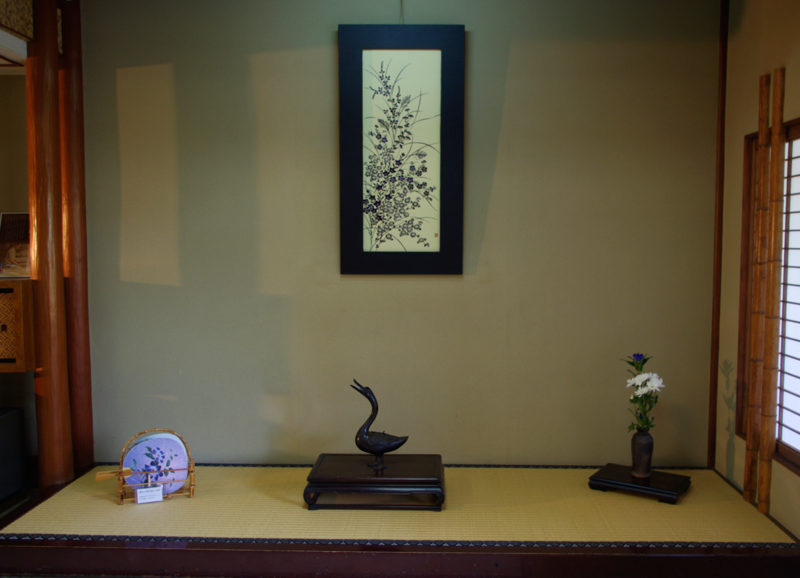 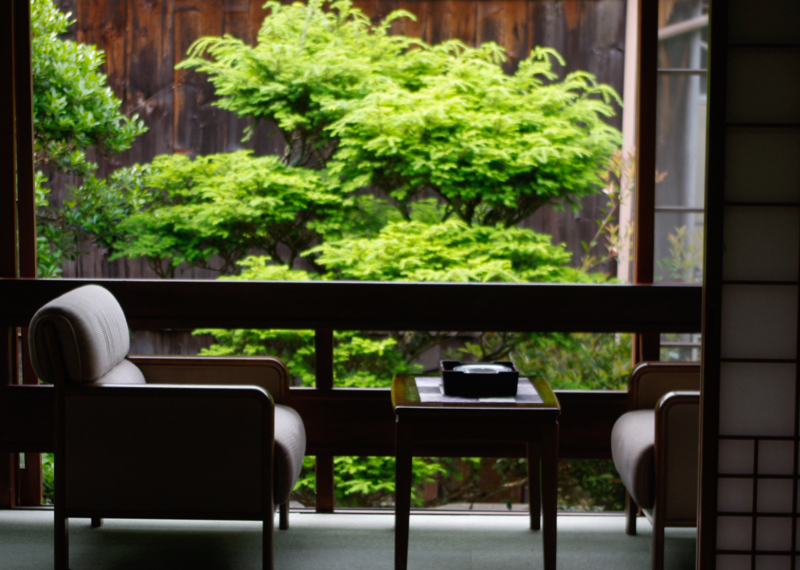 Japanese-style room as serial rooms (9 Tatami & 7 Tatami) with view of the inn's garden is located on the first floor. 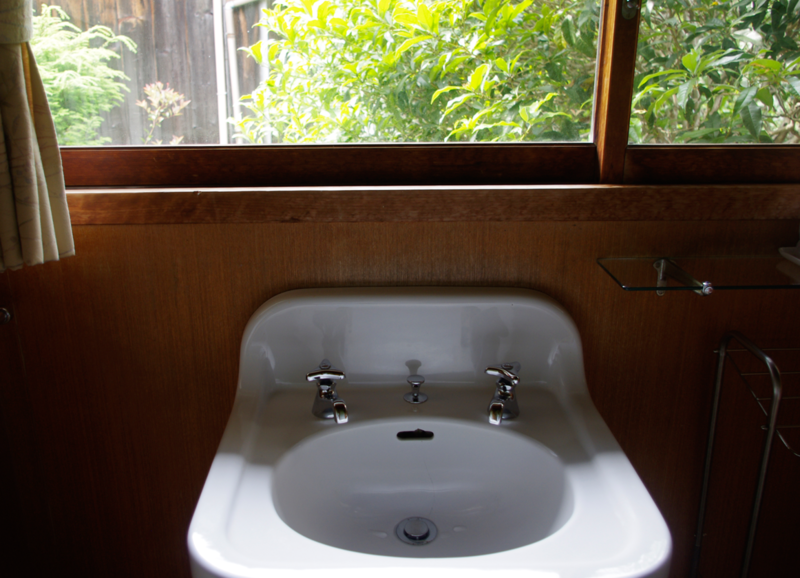 This room come with a restroom with a bidet. 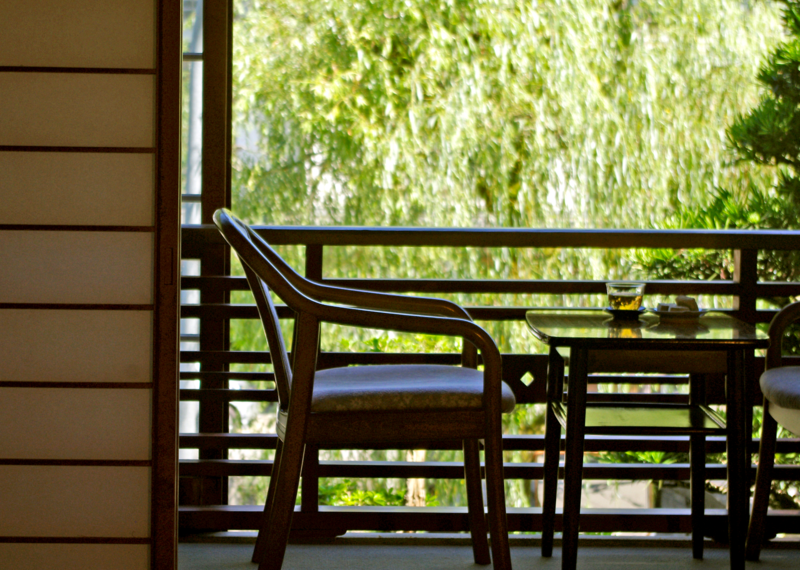 From the room guests can gaze upon the town scape and willow lined street. 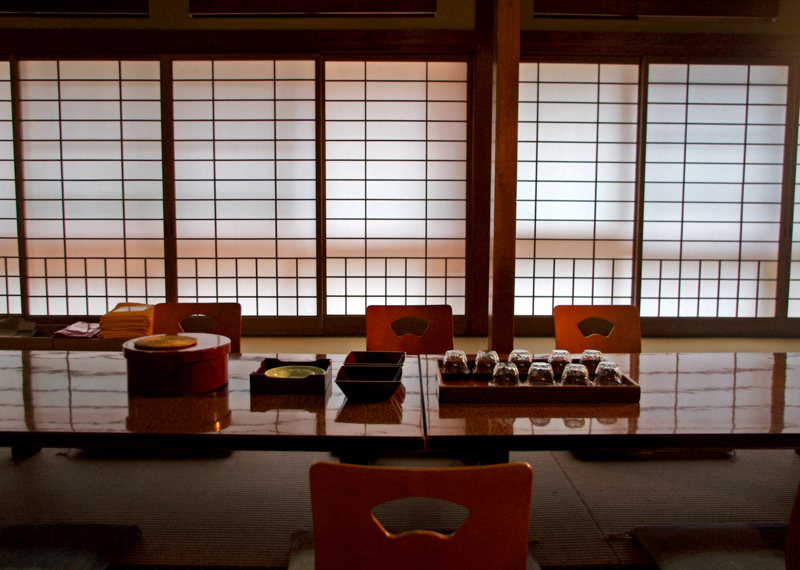 Guests can indulge in the traditional feel of Kinosaki. 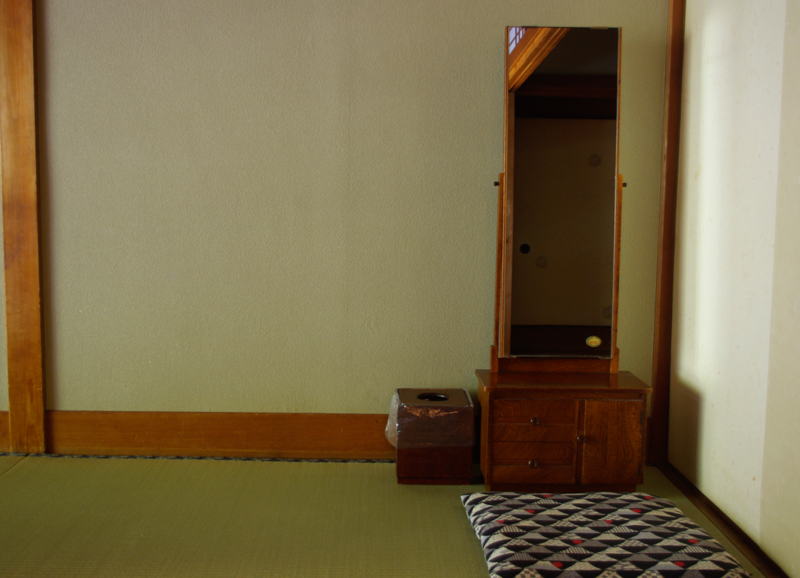 This room does not come with a restroom. 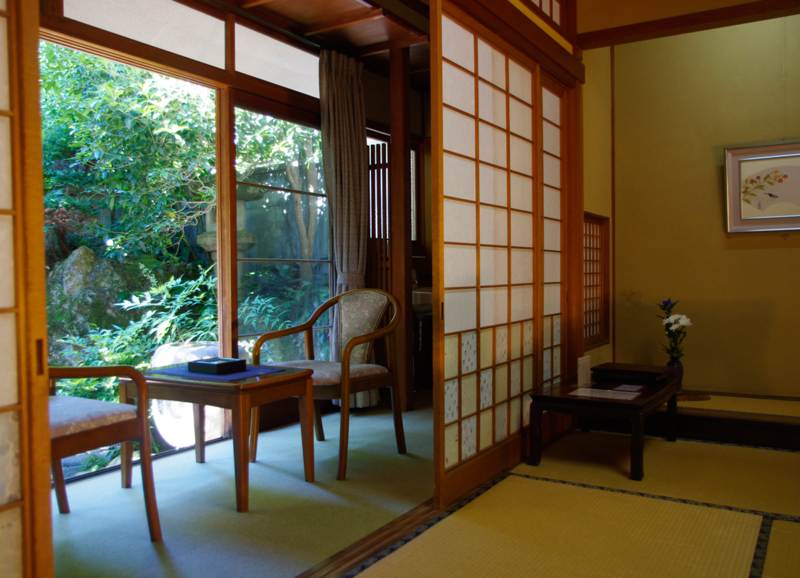 Guest rooms with view of the inn's garden are located on the first floor (2 rooms) and second floor (3 rooms). 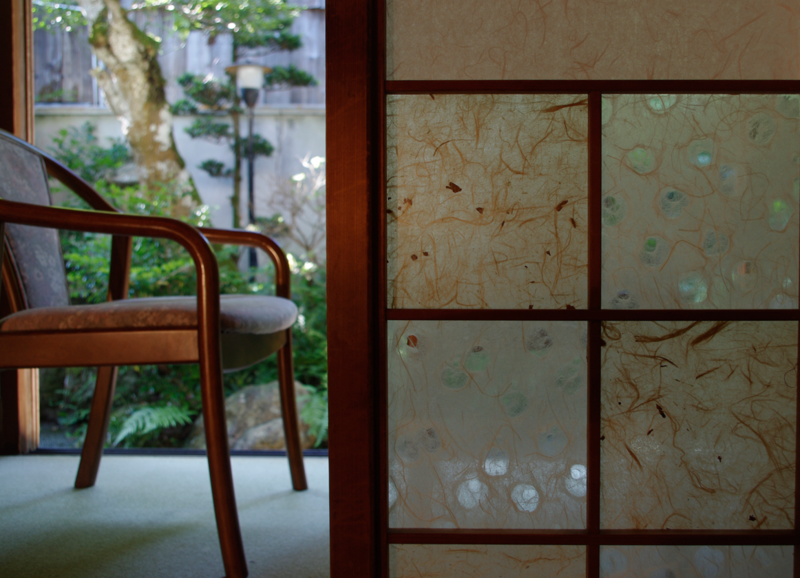 This room come with a restroom with a bidet. 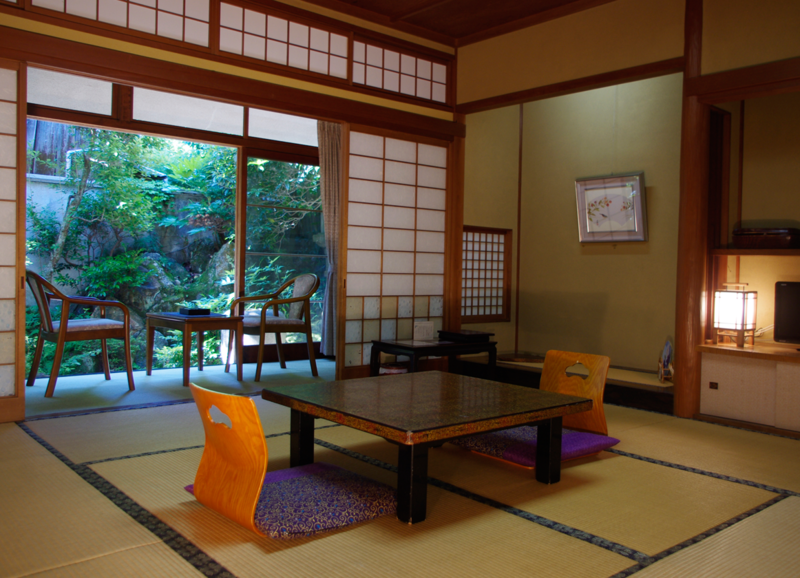 Japanese-style room as serial rooms (10 Tatami & 5 Tatami) with view of the inn's garden is located on the second floor. 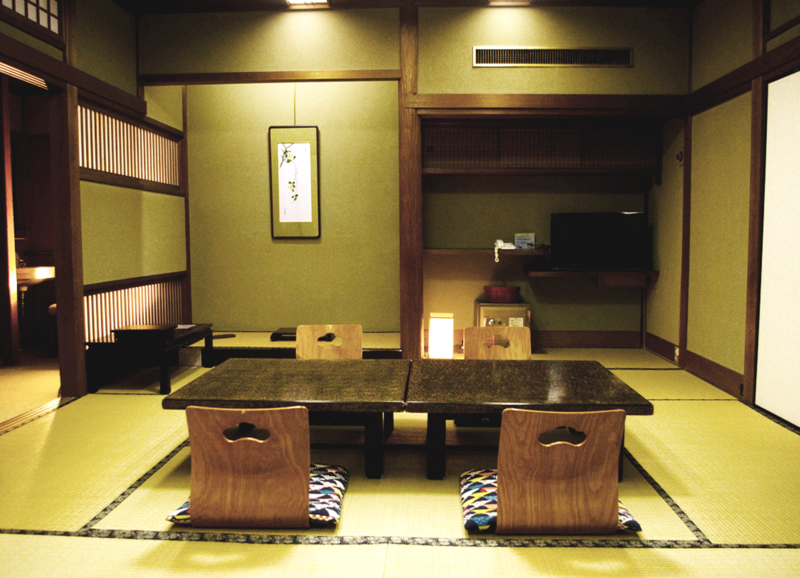 This room come with a restroom with a bidet. 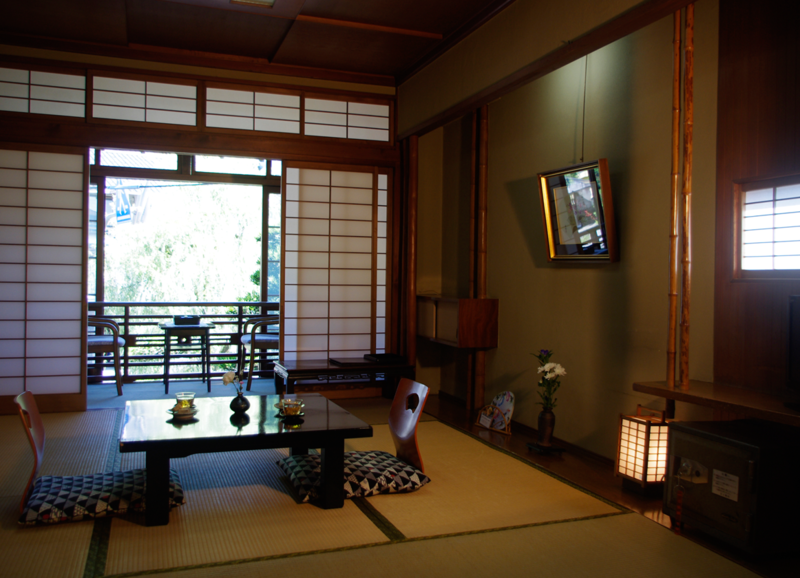 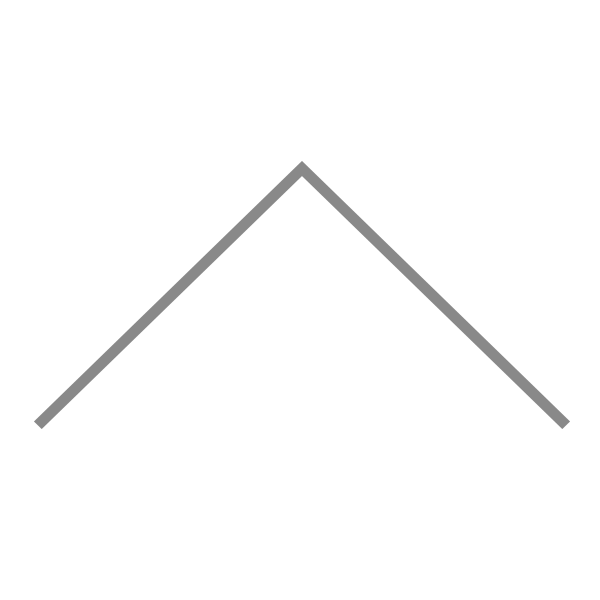 Located on the 2nd floor, rooms with a comfortable futon bed for two guests, also available for one guest. 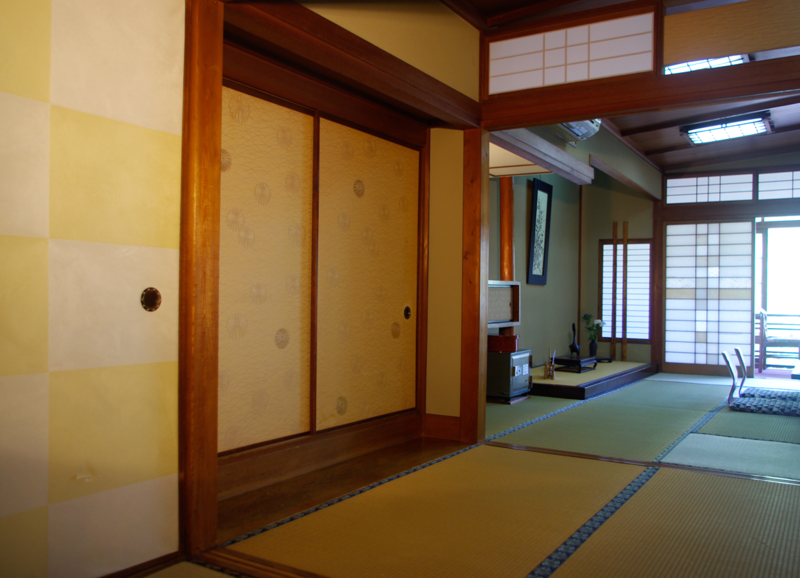 This room come with a restroom with a bidet. 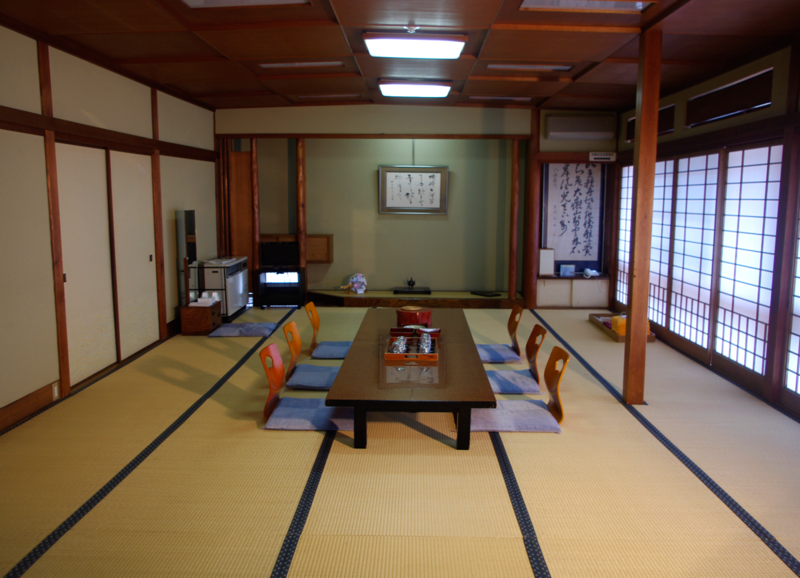 Large guest room ideal for groups from 5 to 10. 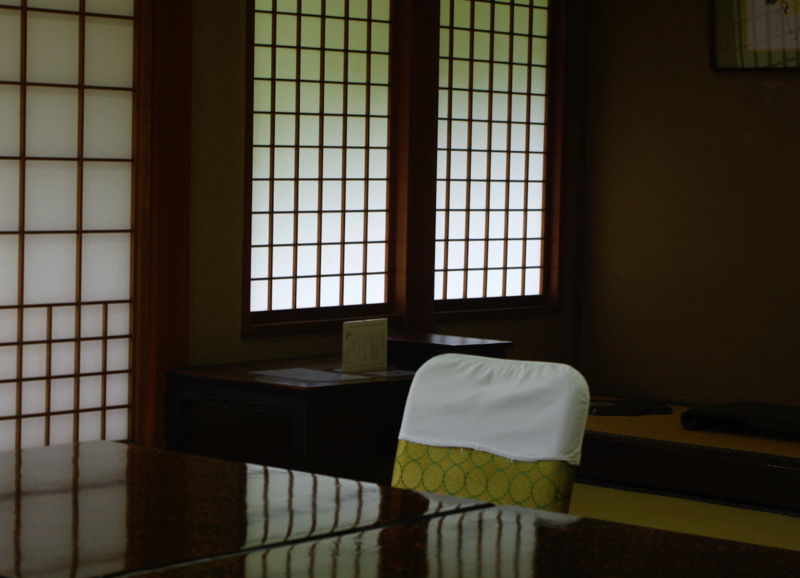 This room can be reserved only for “Group Stay without Meals Plan (check in after 16:00)”.